If you saw my Facebook post this morning, this class was just crazy cool. This was a 60 minute power yoga class, which I always find intimidating, but not intimidating enough to keep me away, but intimidating enough for me to accept the challenge. I had not experienced a sequence quite like that and it was just awesome. What I Love about the different yoga instructors is that they have their own personal touch that touches me. After class I felt like I had just had a baby. What I mean by that is the class was labor intensive, but after it was over, the pain (meaning labor) was the easiest pain (labor) to forget. Ladies know exactly what I mean. In last night's 6:00 PM as Michelle (yoga instructor) was walking around, she corrected my pose during 'bent knee triangle'. Apparently I was leaned a bit 'too far' down and there needed to be a 'trianglular space' between my torso and my level thigh. DOG-GONE-IT! I needed to bring my torso 'up' a bit, which is about a million times harder to hold that pose for one minute. I had been doing this pose with my torso further down toward my thigh. Now that I think about it, that was kinda like resting. DANG IT! There's always something. So this morning, we were windmilling (it seemed like) in and out of 'bent knee triangle' . . . 'revolved triangle' . . . 'triangle pose' . . . I don't know I can hardly tell them apart when everything picks up speed, so once again I was a seconds behind but I hung in there. I take enough yoga classes that I have the strength to hang in there, because I am getting mighty strong, but I'm still a wobbling yogi. It's that whole balance thing, ya' know? 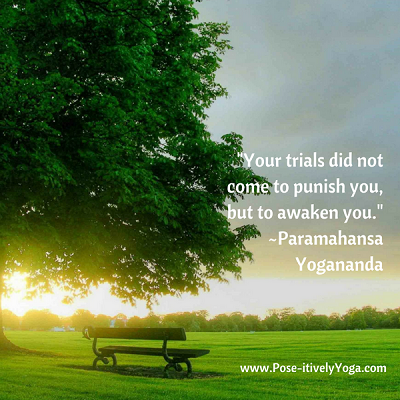 SECOND HOT YOGA CLASS OF THE DAY - 12:00 PM CDT - WHAT A PAIN! The Noon class with Kellie (friend and owner of the studio) was just plain awesome. I don't know where she comes up with some of the cool things she says, but right at the moment I need it, she says it. It's a spiritual thing relating yoga to Life. 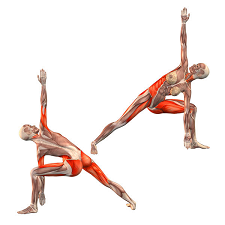 This sequence for this class is the most popular, so the Good news is I know what's coming next whereas in the power yoga classes, I have no idea what is coming. So mentally, this class was a welcomed relief, especially since I had done four (4) classes yesterday. The other thing is now I had to incorporate my new awareness of 'bent knee triangle' in the mix. Uggggggh, where I was comfortable, now I'm completely uncomfortable. It's a journey! Oh and about that list of issues I have had to deal with since I started hot yoga back on April 5, 2017. First I have had shoulder issues like you would not believe. After sitting for 17 years at this computer, my shoulders completely rolled forward, so pulling them back has been a real challenge. Not to mention I had been practicing yoga with a right dislocated shoulder for God knows how long. I hadn't found that out until June 2017 when I had my shoulder x-rayed. Now that it is back in place, I have been getting it adjusted by my friend and college Dr. Michele Walker. 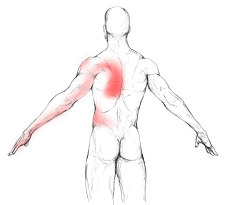 The other issue I had to deal with was a latissimus dorsi muscle spasm in my back. That was back in late April or May. I would just be standing there and all of the sudden it would catch and I would holler out. It was awful. It was just my body getting use to turning into a pretzel. The next thing I had to deal with was a flare-up of a Morton's Neuroma in my right foot. DANG IT! This flared-up after my first hiking trip with my grandson this past June. 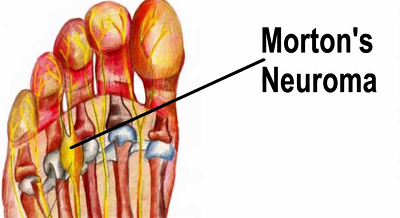 A Morton's Neuroma does not just go away overnight. When you bend those toes, it is electric shooting from the origin to the end of the toes. Needless to say, standing on one foot either gripping the mat or flaring all of my toes in other poses has really challenged me to no end. Some of the poses when I come out of them, it's that damn neuroma that is trying to beat me and sends me that shocking feel, but I go right back into the pose. The fix would be to rest my foot or get a steroid shot, but I won't do either and I can't not go to yoga. That's is not even a consideration. And then there is the cut foot and broken little toe that I had to deal with for four weeks. I had broke my right little toe and had a huge cut underneath my right foot when I came down on 'Robbie the Robot'. Yep, all right-sided injuries (even the muscle spasm). It's this little robot that runs around the bottom of our pool and cleans. I was playing ball with my grandson in the pool and came down hard on the rascal (Robbie) and as a result broke my little toe and cut the bottom of my foot. The broken toe was on the same foot as the Morton's Neuroma. I buddy-taped the little toe to my 3rd and 4th toe (area of neuroma) so this actually made the electric shock better being buddy-taped. This made the one legged standing poses a bit of a pain (literally) but still, I hung in there. I hadn't really mentioned too much about these injuries and issues because I'm a South Node Pisces silent sufferer. I don't need to broadcast my pain and have everyone say, "Awe, poor Loretta." I'm just not like that. I'm a gut-through-it-gal. This third class was so HOT you could have mistaken the sound of sweat drops to that of rain. Sure, I'm exaggerating but it sure seemed like it was raining on my mat. Afterward we were all walking out of the room with a "Whew that was hot!" look on our face. The temperature was probably the same but the humidity is what made it seem hotter. Whenever I do a third class or fourth class, there is always some place in the sequence where I will take it easier. I didn't want to over-do it on my right shoulder, so wherever I could modify and give that shoulder a break, then that is what I do. Did I tell you that I still do chatarunga's on my knees? Yes, I most certainly do. You have to have some strong shoulders to do a chatarunga and my right shoulder is just not healed yet from the dislocation to put some much of a strain on it. Fish pose is another one that I just can not do and put so much strain on my shoulders. This is why I do wild thing on one side and not the other. It's a journey, it's a process and I'm a patient woman. The video below is an example of how I have to do chatarunga on my knees since my right shoulder is not yet strong enough to support a full chatarunga.